Home » LÍLLÉbaby Debuts New COMPLETE ColorMe Carrier! Looking to wear your baby in something unique? 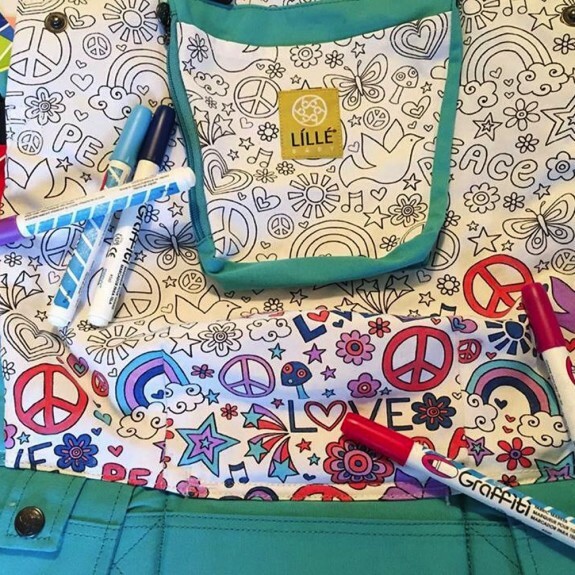 LÍLLÉbaby, the company behind the best-selling LÍLLÉbaby COMPLETE baby carrier collection, is embracing the adult coloring trend with their latest release, the ColorMe. The sturdy cotton ColorMe features a black and white “coloring book” design that invites parents to customize the carrier themselves with non-toxic fabric markers or paints. 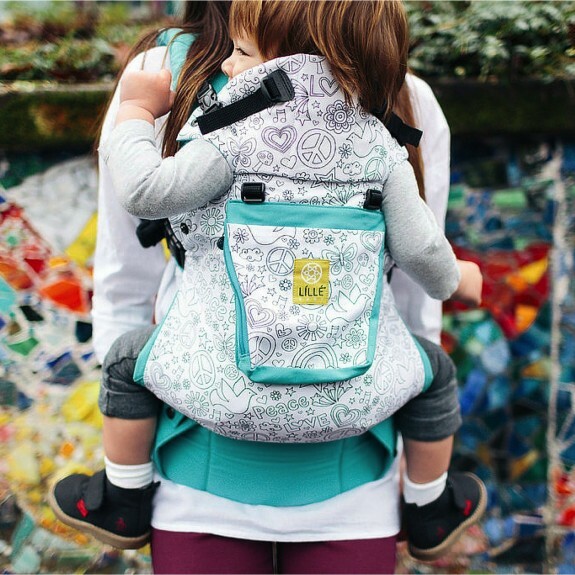 The first baby carrier of its kind, the COMPLETE ColorMe seamlessly blends LÍLLÉbaby’s signature comfort and functionality with the popular, and therapeutic, art of adult coloring. Parents have been turning to adult coloring as a calming, meditative process, that is potentially especially helpful for parents of infants and young children who are often coping with high levels of stress and anxiety. With the release of the ColorMe, LÍLLÉbaby aims to provide parents with a much needed, fun, and restful artistic outlet, as well as a potential way to engage with other parents or older children welcoming a new sibling. The ColorMe Complete Carrier includes all of the same great features that parents have grown to love from LÍLLÉbaby. 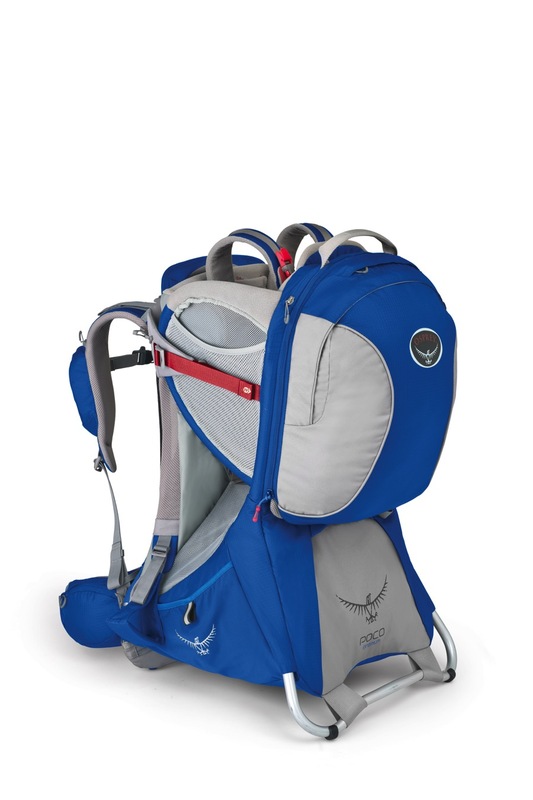 Parents can carry their children in 6 ergonomic carrying positions, there is lumbar support and a sleep hood to protect your baby from the elements on a sunny or rainy day. A new two-way strap enables the wearer to carry “backpack style” or with straps crossed in the back and a large zippered storage provides an easy to reach spot for storing hood and essentials. The carrier is available for purchase starting today at www.lillebaby.com and independent retailers nationwide. The carrier has an SRP of $130.00.